A wise investor gathers information about a financial professional before signing on the dotted line. Taking the time to find good, qualified candidates and to determine their skills, training, and expertise will help you hire only those who have the appropriate financial experience to manage your assets. The four factors to consider when choosing a financial planner or advisor are: cost – both when your portfolio is making or losing money; the size of the financial firm – small or large; the personality of the professional you will be working with; and what professional credentials are important to you (Hauer, 2016). Financial advisors who are fiduciaries are paid on either a fee-only basis or by a combination of fees and commissions. Fee-only can be paid by the hour, on a monthly retainer, or based on gains the client’s investments make under the financial advisor’s management (Cleaver, 2014). Financial professionals who work on a fee-paid basis receive commissions. How are you paid for your services: fees, commissions, or a combination? Remember, you are in the driver’s seat. Ask your questions unapologetically. As a consumer, it is your right to do due diligence and assure yourself that those representing themselves as financial services professionals have the qualifications, skills, expertise and abilities to meet your needs. How do you keep up on changes and new laws and regulations in your profession? Which professional organizations are you a member of? Which professional code of ethics do you follow? Have you/your employees had background checks? Which additional fees are involved with your services or the products? How many older clients do you have? If you delegate or outsource work to others, what are their credentials and experience? Use the Financial Industry Regulatory Authority (FINRA)’s BrokerCheck to search by the name of an individual or firm to view employment history, licenses, filed disputes, and dispute resolutions: www.brokercheck.finra.org. Go to the consumer area of the CFP Board of Standards and Financial Planning Association websites to find a financial advisor. Use the FINRA Securities Helpline for Seniors. Call 844-57-HELPS (844-574-3577) Monday – Friday, 9 a.m. – 5 p.m. Eastern Time. www.finra.org/investors/finra-securities-helpline-seniors. Ask other trusted professionals such as attorneys and CPAs, who often work with financial professionals, for referrals. Obtain references; look for people or businesses that have used the professional’s services multiple times and have a history with the person or business. “Financial Planning Resources,” Certified Financial Planner Board of Standards (CFP 2014). Cleaver, Joanne (February 2014). “A Guide to Financial Advisor Fee Structures,” U.S. News & World Report: Investing. “Investment Advisors,” Financial Industry Regulatory Authority (FINRA) (2016). 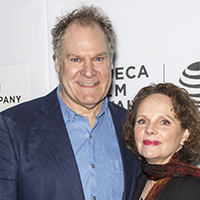 Hauer, Kathryn (January 2016). “Many Types of Advisors Call Themselves Financial Advisors,” Nasdaq. Five Emotional Stages of Retirement: Where Are Your Clients? Retirement is a major life transition, eliciting excitement in some and trepidation in others. Either way, it’s a big change, and any change, positive or negative, can be a source of stress (Holmes and Rahe 1967). A certain amount of stress is healthy and necessary for growth. Knowing the various stages of retirement and their challenges enables you to better understand and respond to the different responses your clients likely will have to this transition. Source: Ameriprise Financial (2006). The New Retirement Mindscape. People in this phase begin to think and fantasize about retirement, possibly looking for a place to retire to or envisioning their lifestyle during the post–work years. The majority of people in the imagination phase has high expectations of adventure (68 percent) and empowerment (53 percent) and is in the process of saving money for this future lifestyle (72 percent) (Ameriprise Financial 2006). Generally, this phase occurs prior to retiring, and this is when most individuals (80 percent) reported thinking that retirement would be a fantastic time in their life. Three-fourths of the respondents were putting money away for retirement and believed they had figured out how much they would need during retirement. 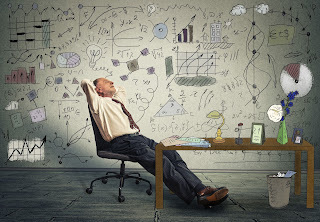 Sixty-seven percent were able to envision periods of work alternating with periods of leisure time. This is a good time for you to encourage your clients to begin exploring their retirement interests—you might ask them if they have considered taking classes, brushing up on their skills, or trying out new hobbies. Concerns about health and health care costs increase during this phase with the worry about future health. Those for whom work has been a primary focus may have some concerns about their identity after they retire. “Who will I be if I am not a teacher, a plumber, etc. ?” The Ameriprise study (2006) found that 22 percent of respondents anticipated having feelings of loss after retirement, and 18 percent expected to feel “emptiness.” These individuals’ identity and self-esteem often are tied to their work life, job title, and earning capacity. Slightly more than three-quarters of the respondents to the Ameriprise survey (2006) were greatly enjoying their retirement, with the majority feeling they had enough to keep them busy and were financially on track for what they anticipated. During this phase is when people who have decided to relocate may do so. The euphoria associated with this phase may last only about a year. In this phase, the initial enthusiasm and optimism about retirement wane, leaving retirees with a sense of dejection or purposelessness. In fact, the percentage of people who reported enjoying retirement in this phase dropped from 80 percent to 65 percent (Ameriprise Financial 2006). These feelings can stem from the loss of income or simply not knowing what to do with one’s time. During this time people are generally content, hopeful, and accepting of being retired. In addition to these five emotional stages of retirement, there are other ways to organize and describe people’s experiences in retirement. What many retirement models have in common – and what professionals should remember – is that whatever path people find themselves on, it isn’t necessarily the path they will stay on. People are individuals and continue to evolve, change and grow throughout their lives. “The New Retirement Mindscape,” Ameriprise Financial (2006). Atchley, Robert C. Continuity and Adaptation in Aging: Creating Positive Experiences. Baltimore, MD: Johns Hopkins University Press, 1999. Atchley, Robert C., and Amanda Smith Barusch. Social Forces and Aging: An Introduction to Social Gerontology. New York: Wadsworth Publishing, 2004. Dychtwald, Kenneth, and Daniel J. Kadlec. With Purpose: Going from Success to Significance in Work and Life. New York: HarperCollins Publishers, 2009. Holmes, T., and Rahe, R. (1967). The social readjustment rating scale. Journal of Psychosomatic Research, 11(2), 213–218. Miller, Thomas W. Handbook of Stressful Transitions across the Lifespan. New York: Springer, 2009. On your smartphone, you can save grocery lists, play games, find your car and get help reading. 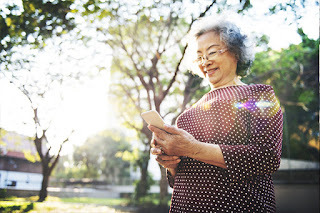 If you’re like many older adults, you may have come late to the smartphone or tablet, but once you did, it’s hard to imagine how you got along without these devices that let you communicate; check your email, the weather and news; and help you find your way. Maybe you haven’t yet discovered all the apps—applications of software designed for a single purpose, like a GPS—that can make your life easier or more fun. Here are just a few that might particularly appeal to older adults. If you’re still writing notes to yourself and keeping grocery lists on pieces of paper, and then losing the notes, you’ll want to take advantage of apps that can keep all your lists on your electronic devices. The current crop of note apps, however, go way beyond just keeping lists. On Evernote, besides keeping a list of errands and your vacation itinerary, you can post images or record voice memos. Price ranges from free to $70 for premium, depending on the level of service. Wunderlist works similarly but also lets you set due dates and reminders as well as share your lists with others. It’s free. Another brain challenger is crossword puzzles. The New York Times offers its game app for $6.95 a month. For the iPhone and iPad, there’s Crosswords Classic, with crossword puzzles aggregated from large newspapers, for $10. Lumosity offers more than 50 free cognitive games designed by neuroscientists working to enhance memory, attention, processing speed, attention, flexibility and problem solving. And they’re fun. Draw Something challenges your creativity. This free app is available for Android or Apple products. You can doodle or draw, or play the Draw & Guess game with friends, in which you’re given a word like dog or tree and then your friend has to guess what you drew. As we get older, it would appear that the type on phones, computer and much else is getting smaller. Luckily, apps can improve our ability to see. Eye Reader turns your iPhone into a magnifying glass and has a light to illuminate the text, handy in dark restaurants especially. Cost is $1.99. Android phone users can use Magnifying Glass Flashlight for free. Similarly, BigNames ($1.99) provides large, high-contrast text for the names and numbers in your contact list on iPhone. The free Seniors Phone replaces your phone’s interface with one that is simpler to read and navigate. While it’s inconvenient to have to search for your eyeglasses around the house, it can be downright embarrassing to wander huge parking lots looking for your car. The free Find My Car or for Apple products lets you enter your car’s parking space using the phone’s GPS coordinates, take a photo of your car in its space or just type a note that indicates the row or section. You can use Google Navigation (or an external app) to find your way back to your car. Maybe you need to keep track of people rather than things. Life 360 enables you to know the location of friends and family, as long as they are on the same network. This free app can help your children know that you are safe as well as remind you that your daughter told you she would be shopping today. “The 5 Apps Every Senior Baby Boomer Should Know About,” June 2, 2015, Keystone Technologies. “16 Helpful Apps for Seniors,” Dec. 10, 2013, Senior Net. “Top 20 Apps for Senior Citizens,” Nov. 25, 2013, Sunrise Senior Living. “The Best Apps and Tools for Older People,” Lifehack. “Best free smartphone and tablet apps for older people,” Feb. 2 2016, Geek Squad. “9 Apps Every Baby Boomer Should Know,” Mashable. “8 Apps Boomers Need Right Now,” March 7, 2015, Huffington Post. Whether being with others who want to learn, create art or share a common faith or culture, there’s a retirement community for you. As baby boomers start to age and look for their ideal retirement communities, many express a general dissatisfaction with traditional senior housing, which they perceive as endless rounds of bingo, shuffleboard and making crafts. Whether that’s an accurate representation or not, your choice of retirement housing options is getting bigger. Now there are places exclusively for those who are LGBT, seeking faith based communities, or want to continue college careers. Proximity to a university campus. Formalized programming between the university and the community, encouraging intergenerational diversity and a range of activities. Full senior housing services offering a continuum of care, from independent to assisted living. A strong alumni base, with at least 10 percent of the community consisting of alumni, former faculty or past university employees. Sound financial planning, with a documented financial relationship between the senior housing provider and the university. Typically, UBRC communities are located near a college campus, affording seniors the opportunity to learn from top university professors, either at classes within the community or on the college campus. 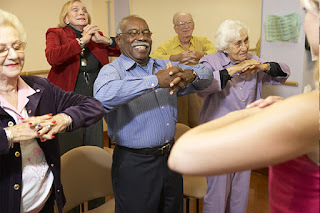 Other senior housing communities offer their own curriculum that can include everything from fitness and nutrition to computers, history or creative writing. Residents at Kendal at Oberlin, in Ohio, can audit classes at Oberlin College free with permission from the professor. They can also attend lectures and go to concerts and recitals at the Conservatory of Music (more than 500 offered during the academic year). There’s even a Kendal bus that transports residents to several on-campus activities each month. Kendal residents have collaborated with students and professors on energy and environmental initiatives. Although about 37 percent of Kendal at Oberlin residents are alumni or former faculty and staff, others are drawn to the college-town atmosphere and the Oberlin environment. Kendal offers everything from independent living to nursing facilities. At Lasell Village, on the campus of Lasell College in Newton, Mass., the 210 residents are required to participate in 450 hours of education a year—about nine hours a week. Residents can choose classes from French cinema to social psychology to current events to fitness and volunteer work. Each of the 16 buildings at the village has a classroom. Lasell residents also have the usual retirement activities, such as a pool and fitness classes, plus choices of different levels of care. Senior housing communities dedicated to the arts—music, painting, theater—are burgeoning. There’s a good reason: A growing body of research suggests that creativity and artistic expression contribute to healthy aging, including fewer heart problems and less depression. An April 2015 Mayo Clinic study found that making art is tied to fewer cognitive problems as people age. If that’s true, the residents of the Burbank Senior Artists Colony, in Burbank, Calif., should be thriving. There’s live entertainment in its Performance Theater, writing and art classes, a choir and a Hollywood-themed clubhouse for socializing. There are also computer and anti-aging exercise classes. Many niche communities can be expensive, but the nonprofit group EngAGE runs the 200-person Burbank and other art colonies, which target low-income residents. Building on Burbank’s success, EngAGE has established 37 communities mostly in Southern California. The model is now expanding into Minneapolis, Minn.; Portland, Ore.; and Winston-Salem, N.C.
An additional bonus of these arts communities is possible revenue. Senior centers, state arts grants, nonprofit arts groups, foundations and other creative-minded organizations frequently pay older artists to teach in elderly communities. Many retirees want to live with others with whom they share a culture, whether LGBT, Jewish or Chinese. Often, people want to retire with others like them. What’s your group? Postal workers. Nalcrest, in south central Florida, was created in the 1960s as an affordable place for letter carriers to retire. There are 500 one-story apartments with around 700 residents, as well as a recently renovated pool, shuffleboard area, bocce ball courts, a 75-acre lake (for fishing, kayaking and boating) and a small restaurant. RVers. At Escapees Care Center, in Livingston, Tex., you can park your recreational vehicle on the grounds and get nursing care, medical treatment and meals. Spiritual. Elderspirit Community, in Abingdon, Va., is dedicated to supporting others in a community of diverse spiritual paths and encouraging each other to live simply and care for the earth. Country music. Near Nashville, Tenn., plans are afoot for a retirement community “designed to complement the lifestyle goals of aging country music veterans, as well as other seniors.” Besides the usual amenities, Crescendo at Westhaven will have a theater with a sound booth so you can record your music. Fountaingrove Lodge in Santa Rosa, Calif., is the nation’s first lesbian, gay, bisexual, transgendered (LGBT) independent senior community (with the option of continuing care services). It’s costly—a $740,000 entrance fee, plus a $5,150 monthly fee. The community includes a 10-acre campus, gourmet dining, concierge services, pet parks and a bocce park. Straight people are allowed, but the focus is on providing a place for LGBTs to relax without worrying about discrimination or having to hide their preferences. According to SmartMoney, at least a dozen such communities exist across the country, mostly in big cities. ShantiNiketan, near Orlando, Fla., caters to older Indian-Americans. The food is Indian with extensive vegetarian options, and there’s a prayer room, Bollywood movies and, of course, yoga. Aegis Gardens, in Fremont, Calif., targets Chinese Americans. Its architecture and interiors follow the Asian principles of feng-shui, its staff includes health care providers from China who speak multiple languages and dialects, and it offers Chinese (as well as American) cuisine. Activities include tai-chi, calligraphy and mahjong, as well as American pastimes such as bingo, ballroom dancing and bridge. A second Aegis Gardens is slated to open near Seattle in 2017. As of 2013, there were about 1,000 Jewish or Jewish-affiliated nursing homes and assisted living communities in the United States. Jewish retirement facilities generally offer Shabbat services, kosher menus, Jewish holiday celebrations and an on-premise synagogue or access to local Jewish religious services. Similarly, Catholics can find retirement communities where they can share their faith with other Catholics and partake in daily Mass as well as celebration of the holy days. For other kinds of niche communities, see the sidebar. “Finding Communities That Connect and Nurture the Like-Minded,” Dec. 26, 2014, New York Times. “Not Your Mother’s Retirement Home,” Nov. 20, 2015, Next Avenue. “A Look Inside Arts Colonies for Older Adults,” June 3, 2016, Next Avenue. “Everyone Who Lives Here Is an Artist,” Oct. 21, 2015, Next Avenue. “Act 2: Learning and Teaching the Arts After 60,” Aug. 6, 2015, Next Avenue. “The Rise of Niche Senior Living Communities,” Jan. 21, 2014, A Place for Mom. “8 quirky retirement communities,” Jan. 22, 2013, Market Watch. “Is a Niche Senior Living Community for You?,” Senior Living. North is best known for his role as Dennis the Menace in the 1960s CBS situation comedy based on the comic strip created by Hank Ketcham. He started his career at age 6 on his favorite television program, local Los Angeles children's show Cartoon Express. North's first professional acting job was a live appearance on the game show Queen for a Day. He continued to work as a child model and actor in commercials, as well as landing small parts on numerous popular NBC variety shows of the 1950s, before auditioning for the role that made him a star. Dennis the Menace premiered on October 4, 1959, and quickly became a hit. In addition to filming the series, North appeared as Dennis in commercials for the show's sponsors and regularly traveled around the country on the weekends to promote the show. In the fall of 1960, the second season of the series was ranked among TV's top 20 shows, and North's portrayal of Dennis had become a beloved pop culture icon. With the series’ success, North's guardians, his aunt and uncle, Marie and Hal Hopper, had become strict taskmasters and stern disciplinarians. He wasn't allowed to socialize with other cast members on the set and missed being around children his own age. Many years later, North revealed that his aunt physically and verbally abused him when he made mistakes on the set or didn't perform to her standards. By the end of the fourth season, ratings were down, and in the spring of 1963, Dennis the Menace was cancelled. In 1965, North landed the lead role in the MGM family comedy film Zebra in the Kitchen. A year later, he starred in another MGM family adventure film, Maya, and, in 1967, its subsequent television series adaptation. Both made North a popular teen idol of the era, featured in numerous teen magazines, but the series was cancelled after one season. North found work as a voice actor for animated television series. In 1974, he appeared in his last starring role, in the R-rated coming-of-age suspense thriller The Teacher. By early 1977, disillusioned with his career in show business, he left acting and enlisted in the U.S. Navy but was harshly treated by his shipmates and superiors for being a former child star and left within two years. While he found small roles during the 1980s in television and film, he was unable to make a steady living. In January 1990, after former child star Rusty Hamer from The Danny Thomas Show had committed suicide, North started seeing therapist Dr. Stanley Ziegler, who specialized in helping troubled former child actors. In 1993, with the release of the feature film Dennis the Menace, North publicly disclosed the abuse he'd experienced as a child star. After moving to Florida, he became employed as a correctional officer, reportedly working with troubled youth within Florida's juvenile justice system. Born Lisa Najeeb Halaby in Washington, D.C., Queen Noor is the American widow of King Hussein of Jordan. She was his fourth spouse and queen consort between their marriage in 1978 and his death in 1999. She is also known as Noor Al-Hussein. In 1977, while working for Royal Jordanian Airlines, she attended various high-profile social events and met Hussein of Jordan. Upon her marriage in 1978, she accepted her husband's Sunni Islamic religion and the royal name Noor Al-Hussein ("Light of Hussein"). Although initially regarded as a stranger to the country and its people, she soon gained power and influence by using her role as King Hussein's consort and her education in urban planning for charitable work and improvement to the country's economy. Behind the scenes, Noor's involvement in politics was sometimes criticized by fundamentalists. In 1984, she supported her husband when he criticized the Americans for their one-sided commitment to Israel, while Americans criticized her for siding with the Jordanians. Following a long battle with lymphatic cancer, King Hussein died in 1999. Noor is a board member of Refugees International and has been advocating for the protection of civilians in conflict and displaced persons around the world. She has spoken out for Iraqis displaced in Iraq, Jordan, Syria and other countries after the 2003 Iraq conflict, and for the millions of Syrians displaced since the onset of the 2011 Syrian civil war. She is the longest-standing member of the Board of Commissioners of the International Commission on Missing Persons. 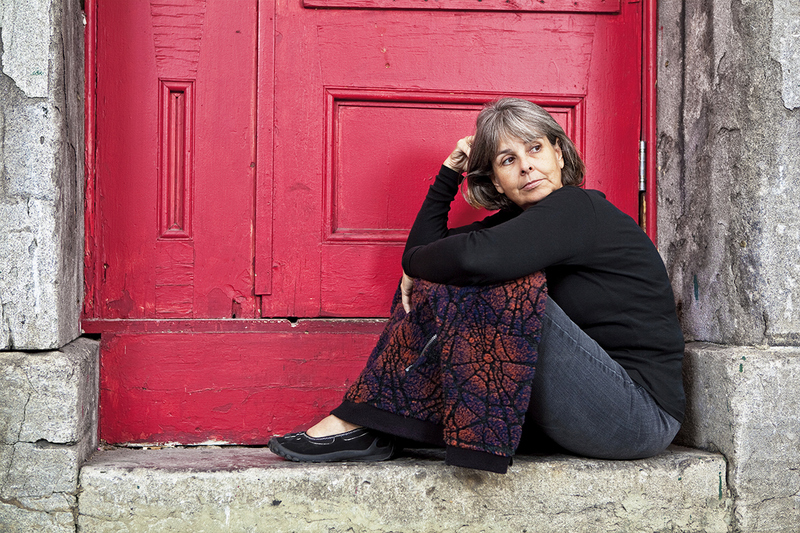 As of 2011, she is president of the United World Colleges movement and an advocate of the anti-nuclear weapons proliferation campaign, Global Zero. In 2015, Queen Noor received the Woodrow Wilson Award for her public service. Best known as the lead vocalist for the Grammy Award-winning heavy metal band Judas Priest, the English singer and songwriter is famed for his powerful wide ranging operatic voice. AllMusic says of Halford: "There have been few vocalists in the history of heavy metal whose singing style has been as influential and instantly recognizable, possessing a voice which is able to effortlessly alternate between a throaty growl and an ear-splitting falsetto." In 2009, Halford was voted No. 33 in the greatest voices in rock by Planet Rock listeners. In addition to his work with Judas Priest, he has been involved with several side projects, including Fight, 2wo and Halford. In 1998, he came out as gay in an interview with MTV news, making him the first openly gay singer in heavy metal music. 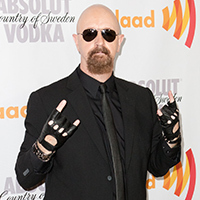 Raised near Birmingham, England, Halford joined Judas Priest as a singer, and the band debuted in August 1974 with the single "Rocka Rolla," before releasing an album of the same name a month later. The band’s Stained Class and Killing Machine (1978, released in America as Hell Bent for Leather) heralded the first style change when Halford (and Priest) shifted from gothic style robes to a leather and studs image. The year 1979 brought their first live recording with the now classic Unleashed in the East. Their 1982 album Screaming for Vengeance had a song, "You've Got Another Thing Comin'," which garnered strong U.S. radio airplay, and the popular follow-up Defenders of the Faith released in 1984. In September 1990, the Painkiller album dropped the 1980s-style synthesizers. After spending nearly 20 years with Judas Priest, Halford left the band in May 1992. He first formed the band Fight, then returned to his metal roots in 2000 with his band Halford and the widely acclaimed album Resurrection (2000). In July 2003, Halford returned to his former band, and they released Angel of Retribution in 2005. The world tour that accompanied the release marked the band's 30th anniversary. In 2011, Judas Priest embarked upon what was billed as their final world tour as a group, but Halford and Judas Priest recorded another album, Redeemer of Souls, which was released in 2014. Halford and Priest were on the road in support of that album through much of 2014 and into 2015. 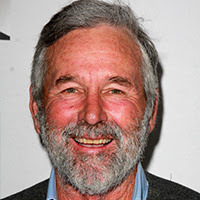 The actor and film producer is best known for his role as Sonny Crawford in The Last Picture Show (1971) where he and his fellow co-stars, such as Cybill Shepherd and Jeff Bridges, rose to fame. Bottoms made his film debut as Joe Bonham in Dalton Trumbo's Johnny Got His Gun. In 1973's The Paper Chase, he starred as a Harvard law student facing the fearsome Professor Kingsfield (John Houseman). Among other films, he has also appeared in Love and Pain and the Whole Damn Thing (1973), Rollercoaster (1977) and Elephant (2003). Bottoms has the unique distinction of portraying U.S. President George W. Bush in three widely varying productions. In 2000–2001, he played a parody of Bush in the Comedy Central sitcom That's My Bush! ; he subsequently appeared as Bush in a cameo appearance in the family film The Crocodile Hunter: Collision Course. Finally, following the Sept. 11, 2001 attacks, Bottoms once again played Bush, this time in a serious fashion, in the telefilm DC 9/11, one of the first movies to be based upon the attacks. He also co-produced the documentary Picture This—The Times of Peter Bogdanovich in Archer City, Texas (1991), a behind-the-scenes work about the making of the films The Last Picture Show and its sequel Texasville. He was also heavily featured in the Metallica video for "One," which featured footage of the film Johnny Got His Gun. FAMOUS & 65 is a featured article in the August 2016 Senior Spirit newsletter. Barbara Carroll, “first lady of jazz piano,” performs every Saturday in Manhattan. Nicknamed the first lady of jazz piano, Barbara Carroll has been performing since the late 1940s. She began her classical training in piano at age 8, but by high school decided to become a jazz pianist. In 1947, a jazz critic and composer called her "the first girl ever to play bebop piano"—a style characterized by a fast tempo, complex chord progressions, instrumental virtuosity and improvisation. Known as a cabaret performer, Carroll plays everything from classical jazz like Duke Ellington and Thelonious Monk to more popular composers Cy Coleman and Stephen Sondheim. At age 91, she performs every Saturday at Birdland in Manhattan. If you can’t make it to New York City, you can watch this YouTube video. Older adults who find themselves getting behind financially may need credit counseling and a debt repayment plan. More seniors than ever before are carrying debt into their retirement years. According to the Survey of Consumer Finances, senior households with debt increased from around 50 percent in 1989 to just over 61 percent in 2013. We live in a world with easy credit, where most of us have some kind of debt—whether from home or car loans or credit cards. However, debt is more worrisome for older adults, especially those living on fixed incomes, because we are also dealing with increased medical costs. In fact, medical debt is the most common debt among seniors (National Council on Aging (NCOA)). More than 84 percent of people aged 65 and up are coping with at least one chronic condition, and often more as they age. A study in the Journal of General Internal Medicine revealed that out-of-pocket medical expenditures in the five years prior to an individual’s death totaled more than $38,000, leaving 1 in 4 seniors approaching bankruptcy. Another common source of debt among senior households is credit cards. In 2001, approximately 27 percent of such households held credit card balances. By 2013, more than 32 percent did, with 1 in 4 households carrying a balance of at least $7,200. In one survey, professionals who deal with seniors reported that unmanageable, overdue utility charges also contributed to financial problems. The issue with debt is that an increasing amount of income must go toward paying off the interest. That means many seniors are shortchanging themselves on necessities such as medications, food or home repairs that can cause problems down the road. Some financial advisers recommend paying off all debt before heading into retirement, although others say it’s a trade-off between using that money for investments and paying down debt. Most experts don’t see mortgages as a problem (unless you’re paying a higher interest rate than is available), because homes can be an investment. What services do you offer? The organization should offer a range of services, including budget counseling, and savings and debt management classes. Avoid organizations that push a debt management plan as your only option. Do you have educational materials available for free? Avoid organizations that charge for information. What if I can't afford to pay your fees or make contributions? If an organization won't help you because you can't afford to pay, look elsewhere. What are your counselors’ qualifications? Are they accredited or certified by an outside organization? Are your employees paid more if I sign up for certain services, if I pay a fee or if I make a contribution to your organization? If the answer is yes, consider it a red flag and go elsewhere. If you are struggling with debt, a good first step is to consult with a credit counselor, especially if you pay more than 20 percent of your income to cover debt payments. Credit counseling costs vary, but some nonprofits offer the service for free or at discounted rates. A good credit counselor can help you organize your finances and develop a budget, and offer free educational materials and workshops. Your credit counseling agency may recommend that you enroll in a debt management plan (DMP). In a DMP, you make monthly deposits with the credit counseling organization, which uses your deposits to pay your unsecured debts, like your credit card bills, according to a payment schedule. In return, your creditors may agree to lower your interest rates or waive certain fees. This is a long-term commitment as it could take 48 months or more to complete your DMP. Many counseling agencies are nonprofit, but be aware that “nonprofit” status doesn’t guarantee that services are free, affordable or even legitimate. A reputable credit counseling agency should send you free information about itself and the services it provides without requiring you to provide any details about your situation. If a firm doesn't do that, consider it a red flag and go elsewhere for help. To find a reputable credit counseling agency, do your homework first. The National Foundation for Credit Counseling (NFCC), founded in 1951, is the nation’s largest and longest-serving nonprofit financial counseling organization. You can get a list of approved credit counseling agencies from the U.S. Department of Justice. The National Association of Area Agencies on Aging can also connect seniors to local assistance. You can create your own budget using NCOA’s calculator. Creating a budget of your income and expenses can help you determine how much more you’ll need each month to pay down your debts, plus see where you can cut back your spending. List your income sources, such as retirement funds, pensions and Social Security, and your current debts, the monthly payment and interest rate. Then look at your monthly expenditures, including food, utilities and occasional expenses such as home and car repairs. You may have to cut back on spending, such as decreasing travel, so you can pay more toward your debt. Or, you may have to increase your income by taking in a roommate or selling a car, RV or vacation property. If the situation is drastic, you may have to move to a smaller house or apartment. The most logical approach to paying off debt is to first pay off the debts with the highest interest rates, while making minimum payments on the rest. However, there’s a satisfaction in getting rid of a smaller debt, even one with lower interest rates, which can spur you to eliminate other debts. NCOA provides a debt calculator to help you figure out how long it will take to pay off debts. If you are paying high rates on auto, student or credit card loans, consider consolidating your debt in a lower-interest home equity loan or by refinancing your mortgage. Your new interest rate should be lower and tax-deductible. But take this step carefully, because if you can’t make the payments, you could ruin your credit and lose your house. NCOA reported that last year’s average interest rate on a mortgage was 3.5 percent and on a credit card a whopping 14.5 percent, so consolidation can make financial sense. Another possible source to pay off debt is your retirement funds, but that money is usually taxable. Plus, experts warn against depleting your retirement savings or 401(k). You could also take out a lower-interest rate personal loan to pay off your higher-interest rate debts. You also could contact your creditors and ask for more time to make payments. If you think you are paying too much interest, request your credit score and find out the typical interest rates for people with similar scores. If you have a hardship, ask your lender or a legitimate credit counselor about forbearance, a plan that freezes your account and sets up automatic monthly payments. 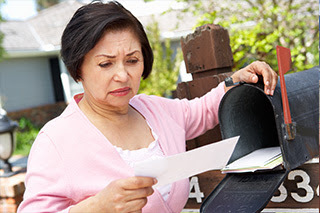 Lastly, always watch out for debt-collection scams that prey on people in financial trouble. “Debt,” National Council on Aging . 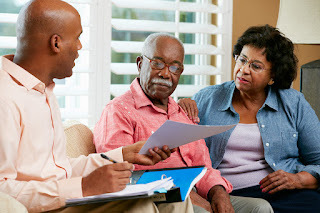 “5 Steps to Dump Debt During Your Senior Years,” July 2, 2015 U.S. News: Money. “Senior Citizen Debt Assistance,” LovetoKnow. “The Silent Struggle of Seniors With Debt,” Feb. 26, 2015, Reuters. “Choosing a Credit Counselor,” Federal Trade Commission. Treatments include medications and exercise, but, surprisingly, a positive attitude can also help. As we age, the disks between the vertebrae wear away and shrink, which causes pain and stiffness as the bones start to rub against each other. In addition, the space around our spinal cord narrows over time. Known as spinal stenosis, this condition also puts pressure on the cord and spinal nerves, causing pain. Stenosis and osteoarthritis are two of the most common causes of lower back pain in older adults. Pain medications are available either over-the-counter or by prescription. Some medications reduce inflammation, which often causes pain, while others stop the pain signals from reaching the brain. Each medication has risks, possible side effects and drug (or food or supplement) interactions, which a physician needs to evaluate. Older adults have a higher-than-average risk of side effects from medication, including analgesics such as nonsteroidal anti-inflammatory drugs (NSAIDs). Also, because many seniors take numerous medications, there is greater risk that pain medication can interact with other drugs. While it might seem counter-intuitive, because moving can be painful, exercise can help ease back pain. Medical experts recommend that you start moving as soon as possible, as long as it’s in moderation. Studies have shown that those with short-term lower-back pain who rest too long and avoid exercise, even walking, feel more pain and have a harder time with daily tasks than those who stay active. Exercise rehabilitates the spine and helps alleviate back pain. When done slowly and progressively, back exercises distribute nutrients into the back’s disc space and soft tissues to keep the discs, muscles, ligaments and joints healthy. Before you start exercising, develop a regimen with the help of a professional, such as a physical therapist or chiropractor. Include aerobic conditioning, stretching and strengthening. Focus on your core, as stronger abdominal muscles can reduce lower-back strain. Exercise can also improve your posture, another common reason for back pain. Stretching helps with flexibility and relieves the tension and tightness that can cause discomfort. Because your back pain likely took months, if not years, to develop, it can take weeks or months of exercising to find relief. Researchers from the University of Sydney found that people who had symptoms of depression had 60 percent greater incidence of back pain compared with those who were not depressed (AARP). Although the link between back pain and depression isn't clear, one theory is that people who are depressed are less likely to exercise and more likely to have disturbed sleep, both of which contribute to back pain. Whatever the reason, pessimistic people feel more pain than optimists (Harvard Health Blog). On top of that, it’s easy to get depressed when you lose physical mobility, especially if exercise is an important part of your life. In a continuous loop, psychological distress can worsen the pain, which makes you feel more depressed and more intensely in pain. Eventually, the pain becomes all-consuming. In fact, prolonged pain can rewire your brain, according to the Harvard Health Blog. When pain first occurs, it connects with your pain-sensitivity brain circuits. However, long-lasting pain can switch brain activity from the “pain” circuits to those that process emotions, making emotional control that much more difficult. To break this cycle, psychological therapies can help lessen your emotional distress and therefore your back pain. The treatment with the greatest supporting evidence (for all chronic pain syndromes, not just back pain) is mindfulness, according to the Harvard Health Blog. A recent study demonstrated that a technique called mindfulness-based stress reduction can help reduce back pain and also improve emotional control by increasing blood flow to the brain’s frontal lobe. Other mental techniques include cognitive behavioral therapy (CBT), a type of psychotherapy in which you challenge negative thought patterns to alter unwanted behaviors. CBT also treats mood disorders such as depression. Another technique, progressive muscle relaxation, increases the awareness of tension in your body. Before you decide on a course of treatment, keep this advice in mind. Identify the type of back disorder you suffer from. Whether you’re experiencing back pain for the first time or you’ve suffered a relapse, seek the advice of an experienced, certified and well-recommended health specialist. Be an active participant in your care. Learn as much as you can about the risks and benefits of the treatments you are considering. Be clear on your treatment goals. Don’t be afraid to question advice. If a health professional recommends an invasive, experimental or expensive treatment, consider seeking a second opinion from a physician who frequently deals with your specific condition. Numerous alternative treatments may ease back-pain symptoms. Chiropractic care. A chiropractor hand-manipulates joints using a controlled, sudden force to improve range and quality of motion, which can ease pain. Acupuncture. This ancient Chinese practice uses needles to improve the body’s energy flow. One recent review of 22 acupuncture studies showed that it provided short-term relief from chronic back pain (WebMD). Massage. If tense or overworked muscles cause your back pain, massage might help. Yoga and Pilates. Yoga can stretch and strengthen muscles and improve posture, although you might need to modify some poses if they aggravate your symptoms. Pilates is another form of exercise that can help strengthen core muscles. Both Pilates and yoga can reduce stress, which can lessen pain. Electrical stimulation. A non-invasive technique, electrical stimulation can ease short-term back pain. The most common form is transcutaneous electrical nerve stimulation therapy, which works by flooding a pathway with low-level stimulation that keeps pain signals from reaching the brain. “The Psychology of Low Back Pain,” April 25, 2016, Harvard Health. 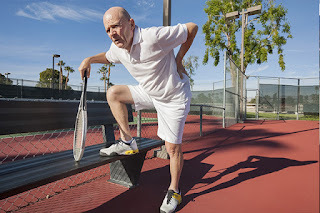 “5 Surprising Reasons Your Back Is Killing You,” AARP. “Low Back Pain in Older Adults,” Spine-Health. “The Link Between Aging and Back Pain,” Everyday Health.